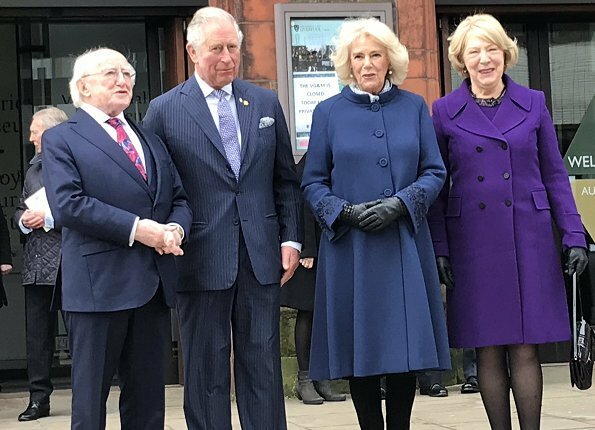 On February 12, 2019, The Prince of Wales and the Duchess of Cornwall visited the Victoria Gallery and Museum at the University of Liverpool in Merseyside. 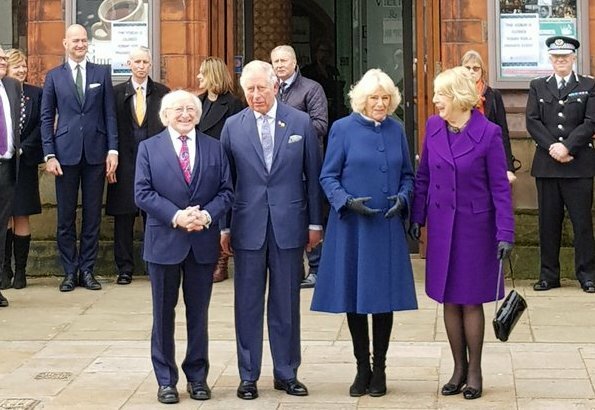 At the University, The Prince and The Duchess met The President of Ireland, Michael D Higgins and his wife Sabina Coyne Higgins. 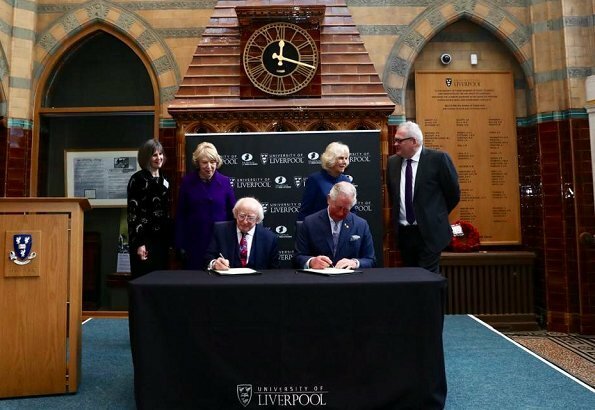 The visit celebrated His Royal Highness and The President’s patronage of the Liverpool Institute of Irish Studies. 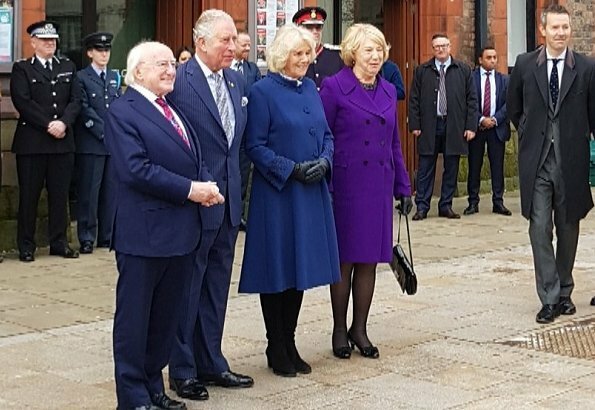 What a lovely coat for Camilla, an excellent fit and color for her. I love the embroidery detail on the cuffs. Both ladies look smashing! 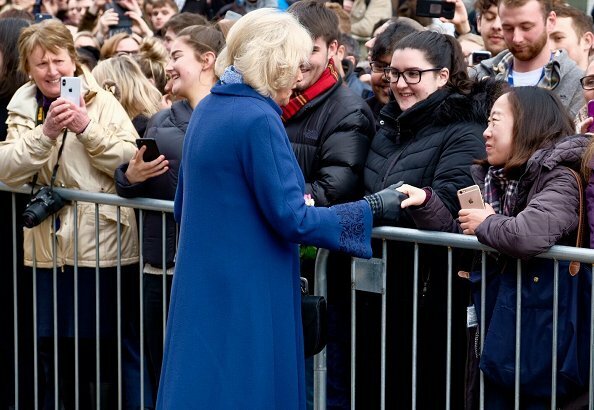 Love Camilla's coat the the detailing on the sleeves gives it something extra. the color is beautiful. 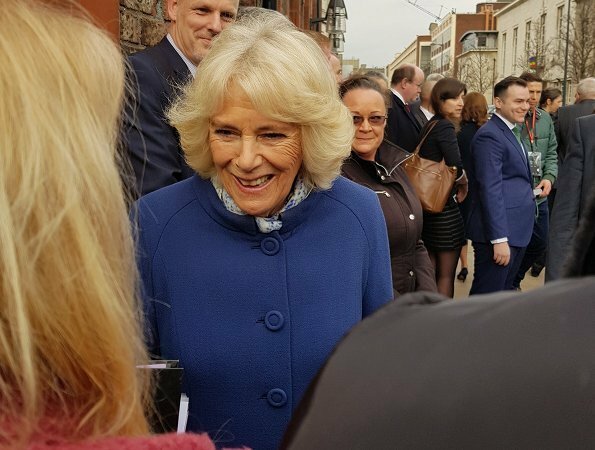 Camilla heeft goede smaak, altijd mooi gekleed voor haar leeftijd.Zou haar kapsel wat korter moeten laten knippen. 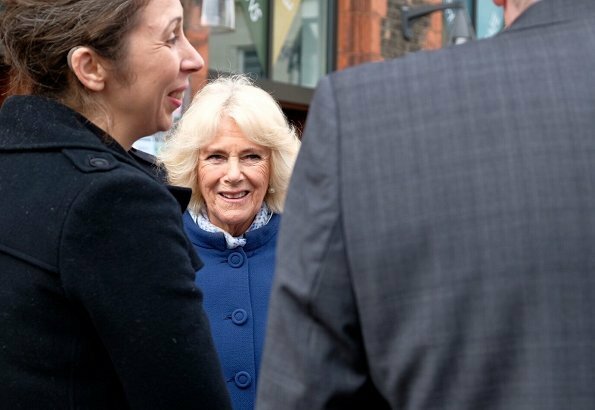 Nice coat on Camilla, albeit predictable (color, cut). 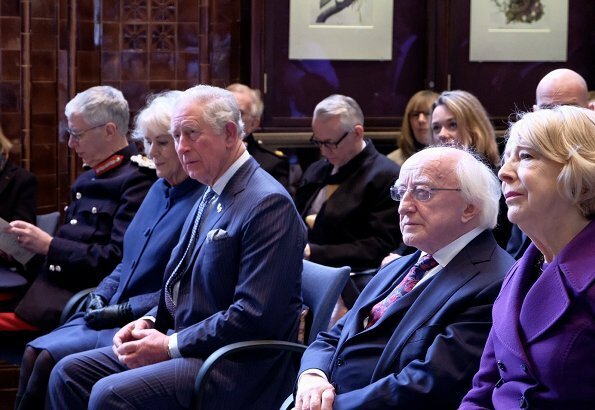 The Irish First Lady on the other hand, WOW! 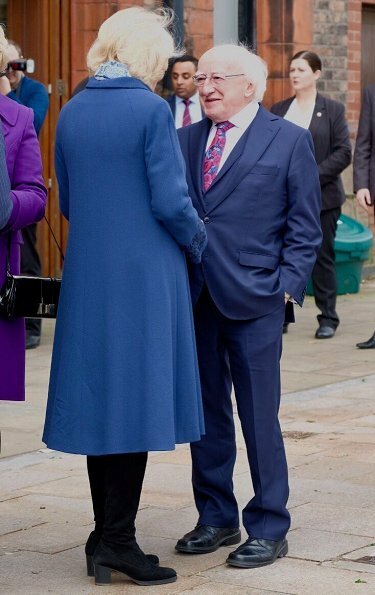 Everything about her appearance is first class, from head to toe, elegant, well-fitted, interesting colour which works beautifully with the classic cut, a winning timeless ensemble. Well done! 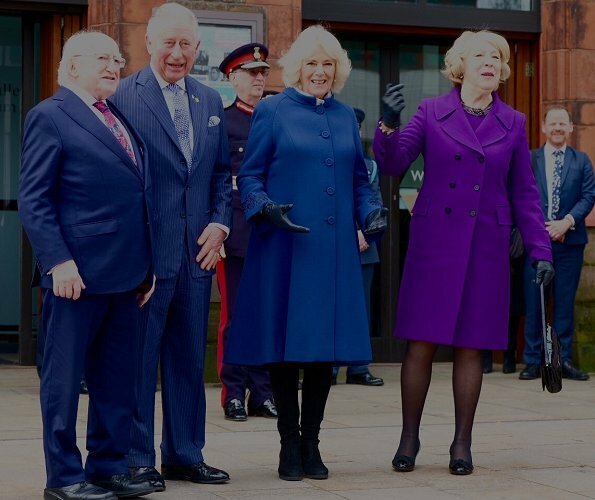 Love the classy coats worn by both the Duchess and Mrs Higgins. Perfect for the occasion and the weather. I agree. 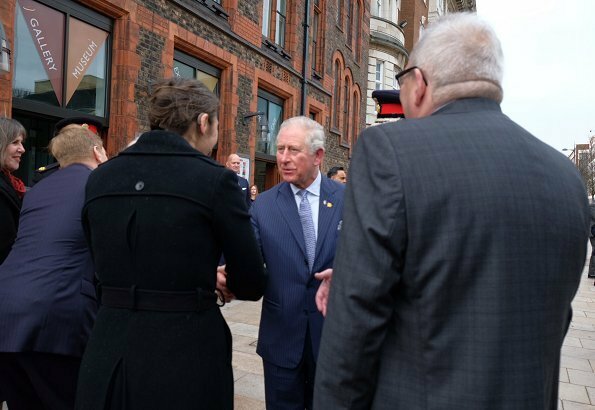 I like the Duke and Duchess a lot.